Get your Divemaster course for free in 3 months!  For divers and non-divers to get a diving education up to Divemaster. The offered program will also ensure experience is gained with diving courses by assisting our instructors (planning, conducting and course standards). Therefore, if after the program the aim is to become a diving instructor the preparation is already done! At the end of the program a candidate will have at least 100 - 120 dives. Living on one of the most beautiful and famous islands in the world enjoying the culture and living style of the Thai society in a tropical environment and at the same time experience a completely new world the incredible variety of the aquatic realm of the Andaman sea. Many internship candidates have by the end of the program seen almost all famous things there are to encounter for divers from whale sharks, manta rays, various other sharks and turtles to ghost pipe fishes, seahorses and different nudibranchs not to mention the typical lion fish, scorpion fish and different kind of moray eels. Since the island is such a popular tourist destination you will be in constant contact with all kinds of people from all over the world. Diving being a very social activity just the team you learn and work with provide an unforgettable time in terms of team work, camaraderie and shared experiences. Everyone that we deal with is of course on holiday hence, happy cheerful and looking to have a great time consequently it´s a fantastic opportunity to meet new people from very diverse walks of life and make new friends. Our team helps create holiday memories for visitors and become part of their memories for life. Turning non-divers and already qualified divers into highly experienced and professional Divemaster with the ability after wards to go to the next professional level - diving instructor. Hi Robert, is it possible to do the internship from April to June 2019? ?